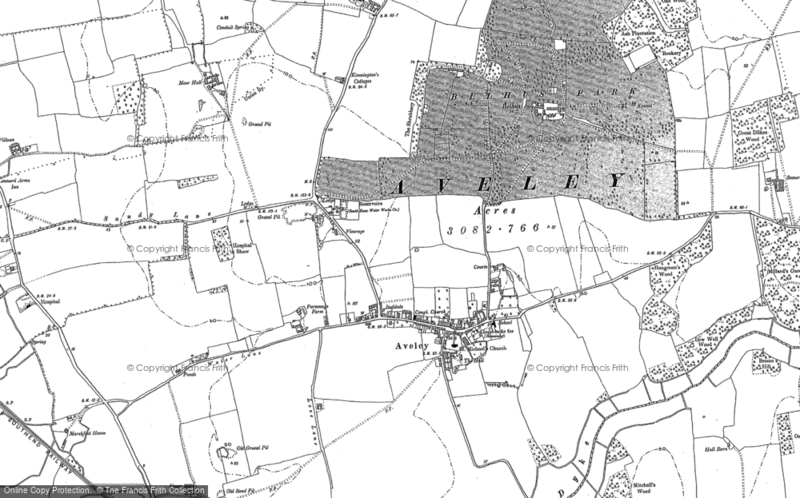 Living In Aveley Between 1951 1968 - a Memory of Aveley. I can remember many good time growing up in Aveley. We used to go to the Botany in Purfleet for the day walking across the pipe on the Mardyke. I went to Bushy Bit between 1959-1963 cannot remember Old Paddy Rice throwing the black board rubber at you if you was not doing what he had told you. (or checking out the senior boys sitting at the front of the class) Also remember him picking his nose and scratching his backside at the same time (lovely memories) also remember Miss Norman and Miss Close and Mr Napier. A memory shared by Avril (Larkham)Webster on Feb 23rd, 2012. Send Avril (Larkham)Webster a message. I was in Doreen's class at school and your comment about Paddy Rice picking his nose and scratching his bum made me smile as that's exactly as I remember him ! Also remember Harold Napier yelling at everyone and Miss Close, a particularly miserable woman ! !.............happy days !! Hello. I also stumbled across this site by accident and was blown away by all the memories shared by Colin Newberry on Mar 25th 2014. I can relate to many other memories shared but Colin's are so close, my memories flooded back. I moved to Aveley with my Mum and Dad -JOYCE and DEREK WILTCHER c.1952 from Grays town center, where we lived in a flat above Sydney Greys store (Radios TV's Fridges etc) in the high street right opposite Clarence Road. We lived at 10 Arnhem Avenue, (and as of Aug 16th 2015 our house is the first photo in Google street view). To the right and next door were old peoples bungalows and Mr and Mrs WAKELING lived there, Mr Wakeling used to breed rabbits and he always fattened one up for us at Christmas. Attached to the left of us lived Mr and Mrs MANN and their daughter Dorothy, their house fronted on Field Road and faced the EDGELER's family (Daughter?? and David) and yes, Mr Edgeler was confined to a wheelchair as a result of being a PoW in Japan. Next door to the Edgelers at 12 Arnhem Ave lived the GROVE family (Chris and Beverley). Opposite 10 and 12 Arnhem Ave were two pairs of semi detached houses - the COKER family (son Paul) lived in the extreme left, attached and next to the right lived ??? To the right and the left in the second pair of semi's (opposite no.12 Arnhem Ave lived the PAISLEY family (son Raymond) and to the right of the Paisley's, the LANNIGAN's. Just for the record, I played regularly with Dorothy Mann, David Edgeler, Chris and Beverley Grove, Paul Coker and Raymond Paisley. I also had friends Donald Thwaites, Gary Eastland, Edward Hunwick, Richard Watkins (the Watkins family actually moved into our house, 10 Arnhem Ave when we moved out!!! When we moved to Aveley I went to Aveley Primary School, I don't remember many teachers names but am I right that Mr Skinner became the Headmaster? One memory that sticks in mind was JAM ROLLY POLY AND CUSTARD, my favourite. Another memory was Sports Days, they were great, for some reason I was always picked to help set out the running track. I then moved up to Bushy Bit, what a marvelous school it was. I remember Woodwork, Cookery, Gardening (complete with Snake Pit), Art, Music (the school had its own orchestra), PE and the notorious Harold Napier and his store cupboard!!!??? Looking back we were lucky to have him as our PE teacher, he taught us Football, Cricket, Athletics including, all field events, Boxing and Archery. In the Gym, apart from all the gymnastic equipment which we all mastered to some degree!! I remember we used to build human pyramids, ones memory plays tricks on you but I believe we managed four tiers!!! Bushy Bit had an excellent reputation for sporting prowess in Inter School and District competitions.